· Holder with Universal Tapping for balanced and adjustable effect responses from the microphone placement. Ø Around the beater head (inside drum) for maximum, balanced or soft bass effect. 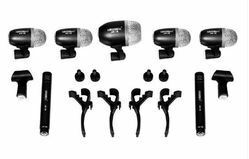 We are engaged in offering Drum Microphone. Great for recording vocals, acoustic instruments and for use as overhead drum mics, the new Samson C01 large diaphragm condenser microphone is accurate, detailed, and smooth with warm bass and extended top. 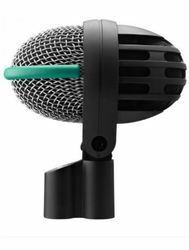 - Spectacular in appearance and rugged in construction, this dynamic mic is specially designed for use with kickdrums, bass drums and other percussion instruments. - Integrated shock mount and large back volume give a specially tailored response, and allow the mic to give distortion – free response even at high sound pressure levels. A high-performance microphone tuned to capture low-end punch. Tailored frequency response is smooth and extended. Tuned specifically for kick drum applications.